Johnson & Johnson has once again won in its appeals campaign against talcum powder verdicts. Last year, the company had secured two reversals. In this year, the Missouri Court of Appeals reversed another verdict in Gloria Ristesund’s case worth $55 million, where the court lacked jurisdiction. Gloria Ristesund, a resident of South Dakota claimed that she used Johnson & Johnson’s talcum powder for more than 40 years, which led to ovarian cancer. This allegation was utterly denied by Johnson & Johnson. 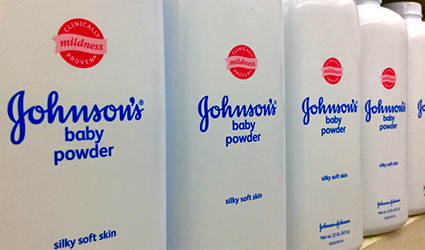 This marks the third successful appeal for Johnson & Johnson in the talc power cases. Following the ruling from the Supreme Court, the company has been able to secure 2 more appeals, one for $72 million and another for $417 million. Next Johnson & Johnson will be up against their biggest legal case yet with 22 plaintiffs. It is anticipated that trail will be concluded in mid-July. Hence as per SEC filing, Johnson & Johnson faces around 9,100 talc powder liability cases.